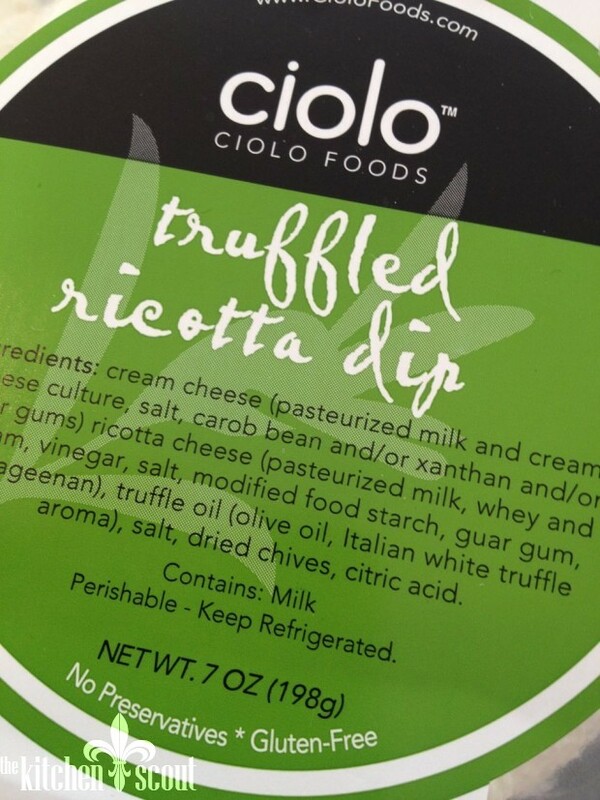 My friend Kathy told me that Whole Foods was carrying a delicious truffled ricotta dip and that I should give it a try. I value Kathy’s culinary recommendations greatly as she is often spot on with recipes, restaurants and trends so off to Whole Foods I went! Here is the package of the dip, located in the refrigerator section. I thought it was pretty expensive at $7.50 for roughly 1 cup but I bought it anyway. I also purchased these gorgeous crackers to serve with the dip, no bargain themselves at $6.99 for the package. Made in Vermont, these crackers are light, crisp and filled with dried cranberries, pumpkin and sesame seeds and pistachios. 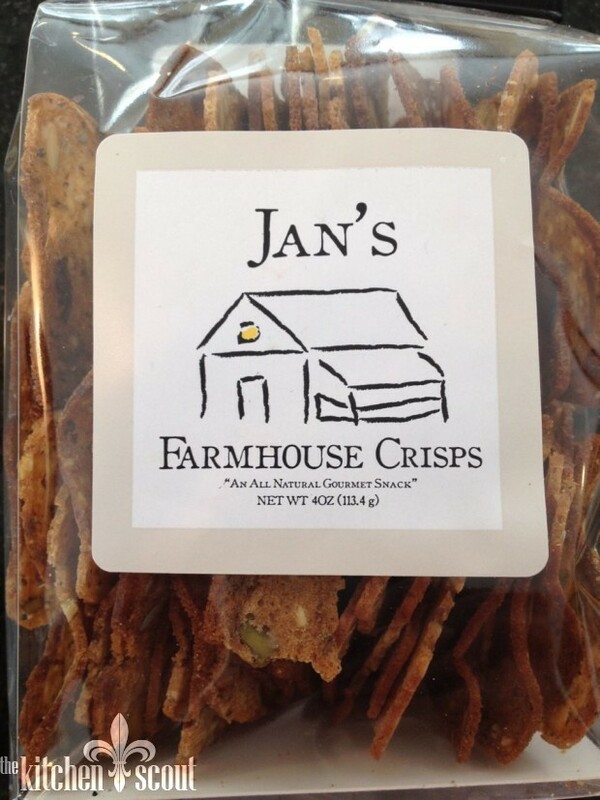 Check out Jan’s story here. I brought the dip to my neighbor’s for a little gathering and thought I would attempt to remake it myself if it was well received. Not everyone loves truffles (myself included) but in small doses, it adds such an interesting dimension to pastas, potatoes and now dips. Everyone seemed to like the dip, but the crackers were the real star! Good enough for me to give the dip a try from scratch. The ingredient list was cream cheese, ricotta cheese, white truffle oil, dried chives, salt and citric acid. The most expensive ingredient was the oil which I found at a local farmstand. For roughly $12, I got a little bottle – enough to make the dip 22 times! A little goes a very long way. You can buy less expensive oil at Home Goods, but I can’t attest to its quality. The brand I would recommend is Urbani. I also purchased fresh chives and left out the citric acid as I wasn’t planning to store this for too long. I was pretty pleased with the final product which made 2 cups for $6.60, less than the cost of the original dip. Here’s a picture of my homemade version. And with my extra truffle oil, I may try this recipe for Proscuitto Wrapped Asparagus, provided by my friend, Jane. 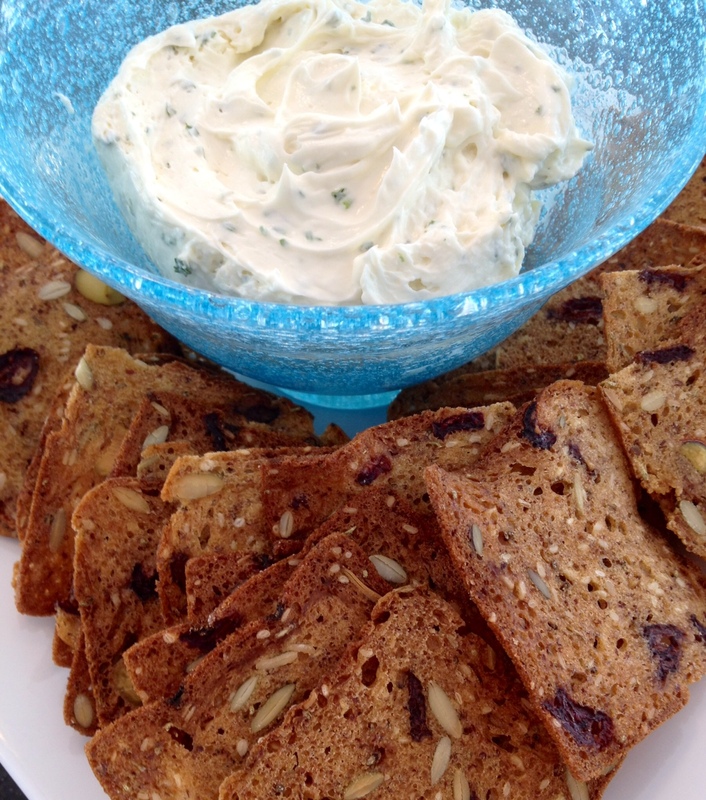 Why not give Truffled Ricotta Dip a try next time you’re asked to bring an appetizer to a party? And in a future post, I will show you how to make your own homemade “crackers” using Iggy’s cranberry pecan rolls – yum. Place cheeses, salt, pepper and truffle oil in the bowl of a food processor. Process mixture until completely smooth. Remove from processer and fold in chives. 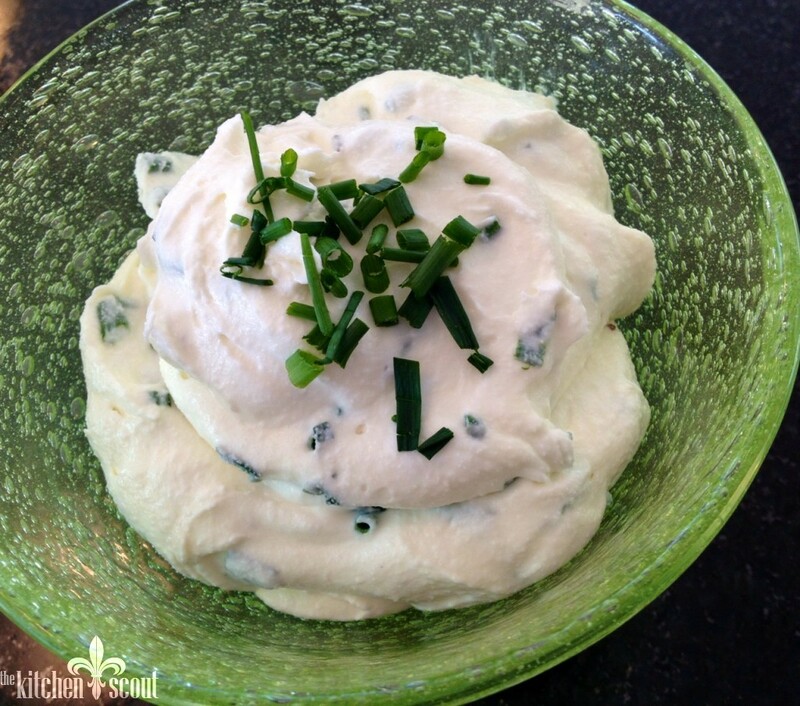 Garnish with additional chives and serve with your favorite crackers. Best to take out of refrigerator 30 minutes ahead of serving.